Will and I have spent our time these past few months working on a large restoration project headed by ” The Friends of Bedford Burying Grounds,” in Bedford, NY. 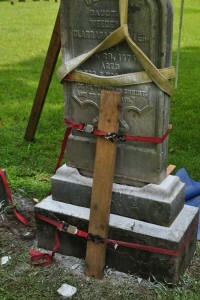 Thus far, we have been commissioned to restore various stones in the Catholic, Buxton, Lounsbery, and Sarles cemeteries. 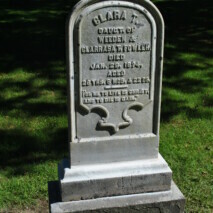 Bedford, NY, has 30 cemeteries in all. The Town of Bedford contains more cemeteries than any other town in Westchester County, according to Patrick Raftery in his book, “The cemeteries of Westchester County.” Some cemeteries are large and well-maintained by the Town of Bedford Parks and Recreation Department, while others are so well hidden you would not even know they were there. Did you know there is a burial site in Bedford Hills along the railroad tracks with only one lone gravestone? Did you know there is a graveyard on Anderson Road with markers, but no actual remains? The remains were transferred before the reservoirs were created because the engineers thought the graves might be submerged! Many of the historic gravesites are in need of serious repair. Thanks to the efforts of the Friends of Bedford Burying Grounds, a group of concerned citizens put on their heavy gloves and work boots once a week, and arm themselves with shovels, measuring tapes, and good will to tackle this much needed job. More volunteers are needed and any amount of help is welcome, whether it is one day or regular participation. 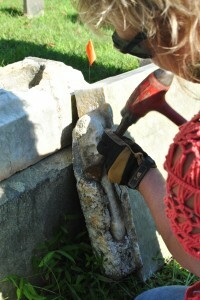 Being a volunteer for The Friends of Bedford Burying Grounds gives community members the unique opportunity to not only preserve the many historic cemeteries in the Town on Bedford, but also glimpse interesting pieces of local history. 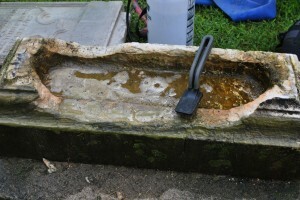 As a volunteer I would like to share one of the many discoveries that peaked my curiosity. Who was James D. Sarles? A few weeks ago, as I was working in the Chichester Cemetery, I stumbled across a grave that not only had a stone but, also an unusual marker that distinguished it from all the others. It was a five-pointed star with the words, “Department Post 120 GAR NY. 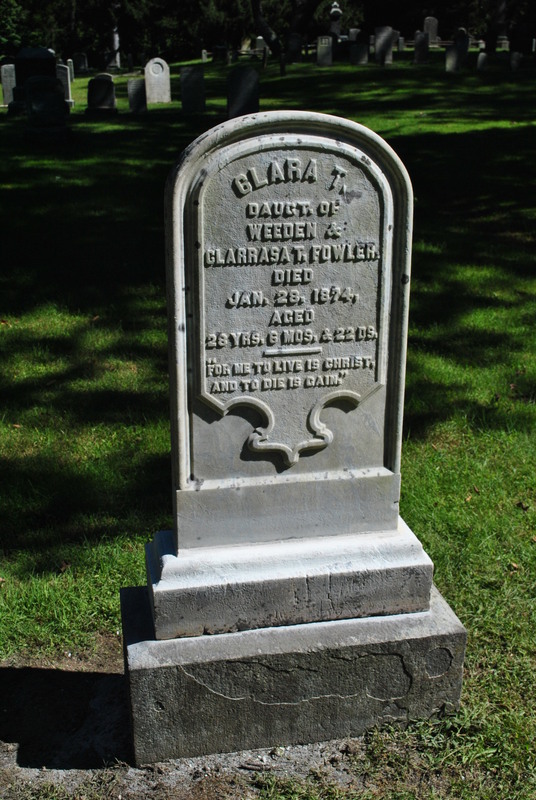 James D. Sarles was born on September 14th, 1834 and died on June 20th, 1913. I wondered about his military service, so I looked it up on the Internet using Ancestry .com and Fold3.com. What I found surprised me. There were over 200 pages of recorded information about his service, but even after I read as much as I could decipher (not all of their document scans are clear), I still had questions. Prior to his enlistment he had been a sailor and had been employed as a ferryman at the Union Ferry Company of Brooklyn, New York. In April of 1864, at the age of 29 Sarles enlisted in the United States Navy for two years. Why did he decide to enlist a full three years after the Civil War had begun? Why would a 29-year-old man enlist at all, so close to the end of the war, since many men had found substitutes to take their place, and in the State of New York, as a volunteer fireman, you could get someone else to take your place? He served on the USS Gettysburg, a side-wheeled steamship which had previously been the Confederate Blockade Runner “Margaret and Jessie” until her capture by the Union on 5 Nov. 1863. 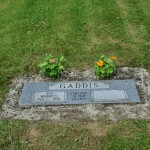 According to his pension records he was a 1st class fireman and was injured while hauling ashes from the fire room. 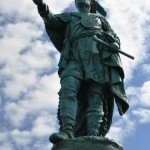 Then was sent to hospital in Beaufort, North Carolina. He returned to the Gettysburg and may have been present during the bombardment of Fort Fisher. Later he was reassigned to the USS Release, a bark rigged sailing ship used as an ordinance store ship to resupply the “Atlantic Blockading Squadron” of which the USS Gettysburg was part. At the end of the war he was discharged from the USS North Carolina, a 74 gun; ”ship of the line” built in 1822, but due to her large size was used as a receiving ship at the Brooklyn Navy Yard. He then returned to the Bedford-Pound Ridge area. In his later years, due to his injuries, he spent time in homes for disabled volunteer soldiers and sailors, in Kennebec, Maine, Bath, New York, and finally in Hampton, Virginia, where he died. During his stay at the home in Kennebec, Maine he listed Howard J. Sarles of R.F.D. 31 New Canaan, Conn as his nearest relative. 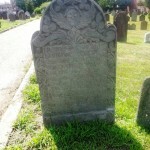 When he died at the home in Hampton Virginia his body was shipped to Edward Lawrence, undertaker in New Canaan, Conn. The US Census of 1900 lists Howard as living with his parents Orrin and Mary in Pound Ridge, N.Y. James D also appears on the same page and is listed as a farmer; he may have been a cousin to Orrin. The 1910 US census has Howard living with his stepmother Margret in Pound Ridge, New York. James had listed his religion as Presbyterian. 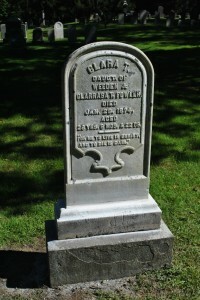 Howard must have chosen to have James remains interred in the family plot at the Pound Ridge Presbyterian Church Cemetery, which is now known as Chichester Cemetery.